By default, all orders are scheduled for a two week (10 business day) turnaround plus shipping. If you need shirts in hand sooner please check the box below. Additional charges will apply. Number of colors in front print. Number of colors in back print. Let us know which colors you would like us to print. 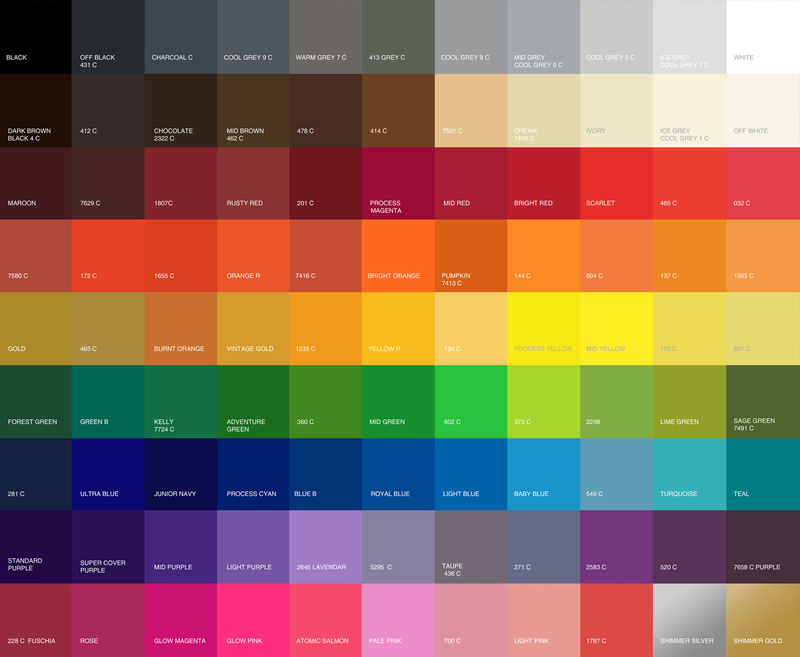 View our standard color chart by clicking here. Accepted file types: jpg, png, pdf, ai, eps, psd.